For me, Vienna is magical. Please don’t mind that I use this cliche, but this Austrian capital brings visitors back in time. Baroque castles and gardens lining the Ringstrasse are strong reminders of the city’s royal past, as the central point of the Austro-Hungarian Empire. And a musical legacy inspired by Mozart, Brahms and other composers can still be heard today. During my visit last July, I explored Viennese attractions that I could see, taste and even listen to. Austria was once ruled by a dual monarchy, which lasted from 1867 until the end of World War I in 1918. Two grand palaces that housed many rulers belonging to the Habsburg dynasty still stand, and are worth visiting. 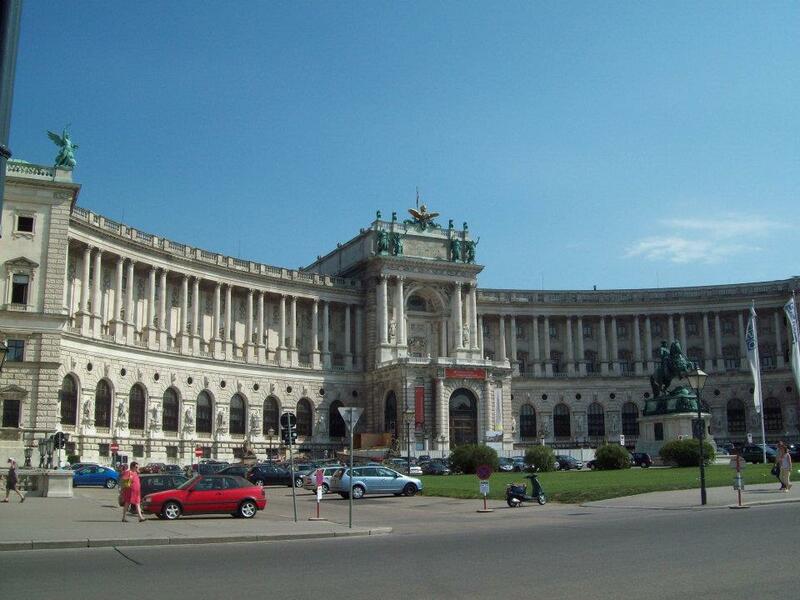 The Hofburg has housed members of the powerful Habsburg dynasty. At the Hofburg, a winter residence, get a glimpse into the Imperial Family’s daily royal living. The Imperial Apartments were home to Emperor Franz Joseph and his wife, Empress Elisabeth, their children and the entire royal household. The Sisi Museum focuses on the life of the beautiful Empress Elisabeth, also known as “Sisi.” Her story is unique. She was big on beauty and fitness. A free spirit, she apparently shied away from decorum. Her life ended tragically with her 1898 assassination in Geneva. Artifacts range from dresses to portraits, and jewelry. On the grounds of the Hofburg, horse lovers will enjoy the Spanish Riding School, where they can view Lipizzans, a special breed that is trained to perform haute école, a classic style of equestrian skills. Guided tours include visits to their stables. I got to catch glimpses of these lovely horses when they came out to graze for their afternoon lunch. During the summer months, the Habsburgs ventured from the city center to Schönnbrunn Palace, an elaborate 1,441-room getaway. First built as a hunting lodge, this UNESCO World Cultural Heritage Site was transformed into a marvel of Baroque architecture during the reign of Maria Theresa, the mother of Marie Antoinette. Its landscape is graced with formal gardens, sculptures, a zoo and a labyrinth. If you plan to visit, it’s best to get here in the morning before the crowds arrive. 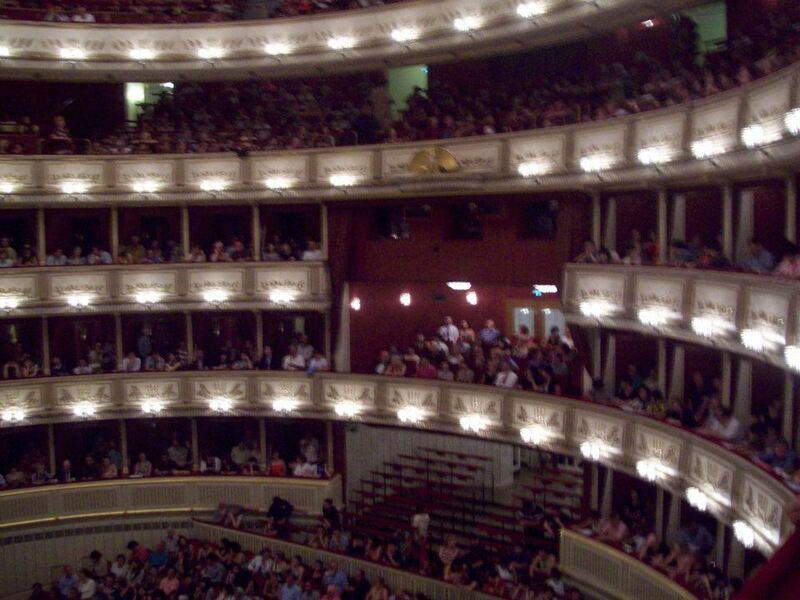 Catch a performance inside the legendary opera house, Staatsoper. In Vienna, music plays on. A great way to experience its culture is by attending a performance in a concert hall or opera house. The 200-year-old Musikverein is a concert hall known for having great acoustics and is the residence for the Vienna Philharmonic orchestra. Works by legendary classical composers from Brahms to Tchaikovsky were introduced here. About 800 concerts take place annually. If like me, you’ve never had a night at the opera, consider buying tickets to a concert at Staatsoper, Vienna’s opera house which dates back to the 19th century. I attended a performance here, and had a great time. Dress up too! Among composers, Mozart carries quite a reputation here. Out of his 14 addresses throughout the city, Mozarthaus Vienna is Mozart’s only surviving residence. Though he lived at this place for only three years, the composer seemed to have had a lot of ambition. One of them he penned was his opera, The Marriage of Figaro. Coffee drinkers and dessert lovers can indulge at Vienna’s legendary coffeehouses. It’s a fun, culinary activity. 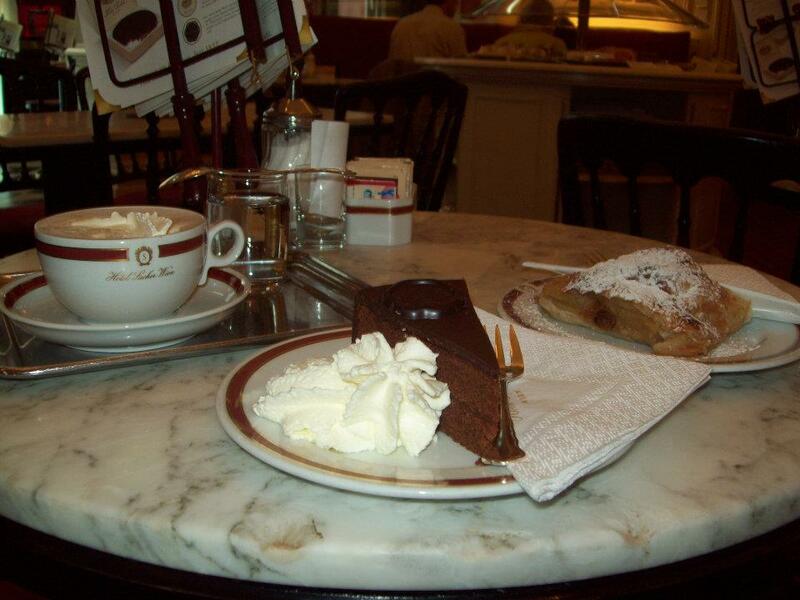 Enjoy cake, coffee and struedel inside one of Vienna’s coffeehouses such as Cafe Sacher. A piece of cultural heritage, Viennese coffeehouses date as far back as the late 1600s. Legend says when Turkish forces retreated from a surge in Vienna, they left behind bags of coffee beans. Fact or fiction, their start is associated to Jerzy Franciszek Kulczycki, a soldier who is said to have opened the first coffeehouse. My cake cravings led me to check out another venue. Inside the Sacher Hotel, Café Sacher’s claim to fame is Sache Torte, a famous Austrian chocolate cake with an apricot jam filling invented here. Its recipe remains a well-kept secret, yet the cake is labeled with a trademark: a chocolate logo. The café’s red walls and cushioning made this café a relaxing place. Can’t resist chocolate. Another good stop is at the legendary Demel, a confectionery that once provided sweets for the Imperial family. And to top off food finds in Vienna, go the popular Naschmarkt, an open-air marketplace with shops and food stands touting fruits, nuts, and spices from around the globe. Enjoy! This entry was posted in Austria, Vienna and tagged attractions in Vienna, Concert halls in Vienna, Hofburg, Schönnbrunn Palace, Viennese coffeehouses on May 3, 2013 by She Is Going Places.